When you have a well maintained yard, your home looks welcoming and inviting. Many people invest in the outside of their home to enhance the curb appeal. If that is you, then you are in need of the best lawn maintenance services Jacksonville FL has to offer. 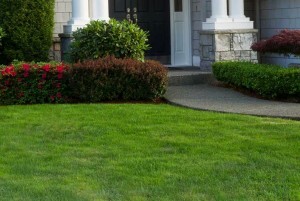 What is involved in Lawn Maintenance Services Jacksonville FL? Different types of fungi can attack your grass and cause problems. Parts of your yard will become discolored. You might find reddish or yellow colored blades of grass. When your lawn is unhealthy, it is more susceptible to breed fungus. Improper mowing, poor irrigation, and a lack of nutrients will make your lawn a target. If you see these signs, then you are in need of Bugman Pest Control, because we offer lawn maintenance services Jacksonville FL. Weeds generally refer to any undesirable plant that shows up unwelcomed in your lawn. Not only are they an eyesore, weeds can be a host to plant pathogens. To make matters worse, weeds are highly adaptable and reproduce very quickly making weeds very relentless when trying to eradicate them from your lawn. If that is the case for you, then you are in need of a weed control service in Jacksonville. There are many different bugs that will attack your yard and make patches of grass look unhealthy. As larvae is hatched, they will eat away at your lawn and cause problems. If you are in need of lawn pest control Jacksonville FL, call Bug-Man Pest Control. Here at Bugman Pest Control, we are a Family Owned and Scientifically Operated business. We are dedicated to making sure you have the services you need to keep your home insect free and your lawn looking nice.